Crispy, crunchy, and delicious. 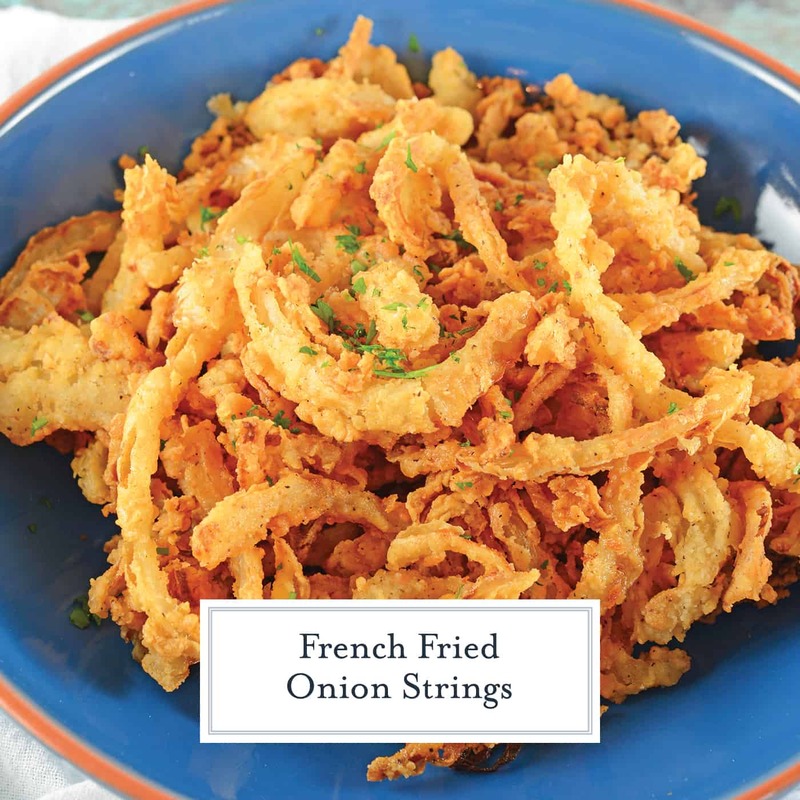 Just a few words to describe these mouth watering French Fried Onion Strings! 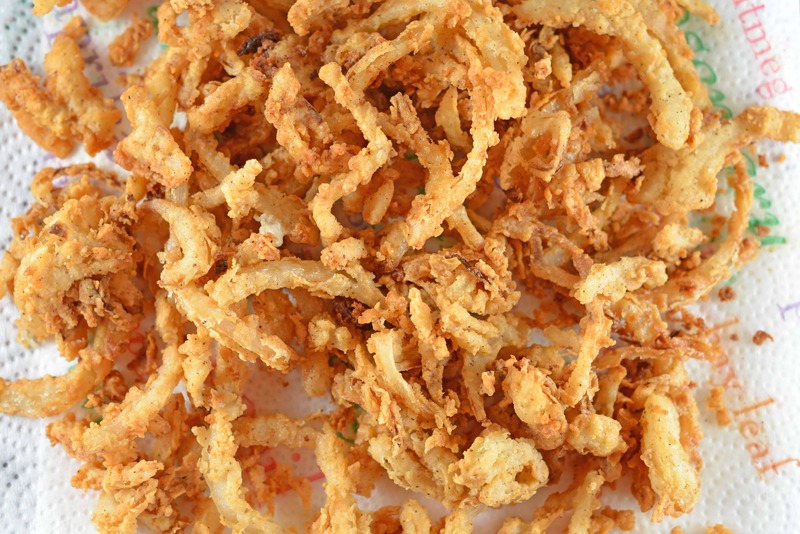 You can use these fried onion strings in soups, salads, burgers, and more! 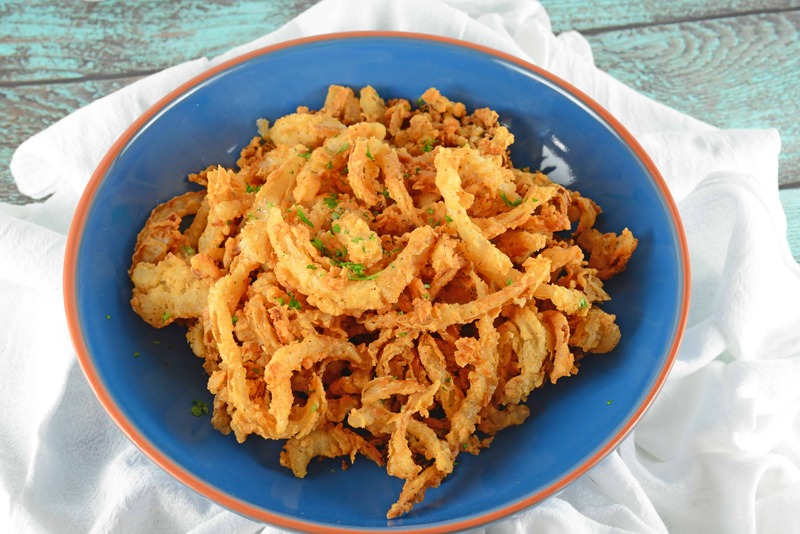 French Fried Onion Strings are buttermilk soaked and lightly seasoned fried onions. 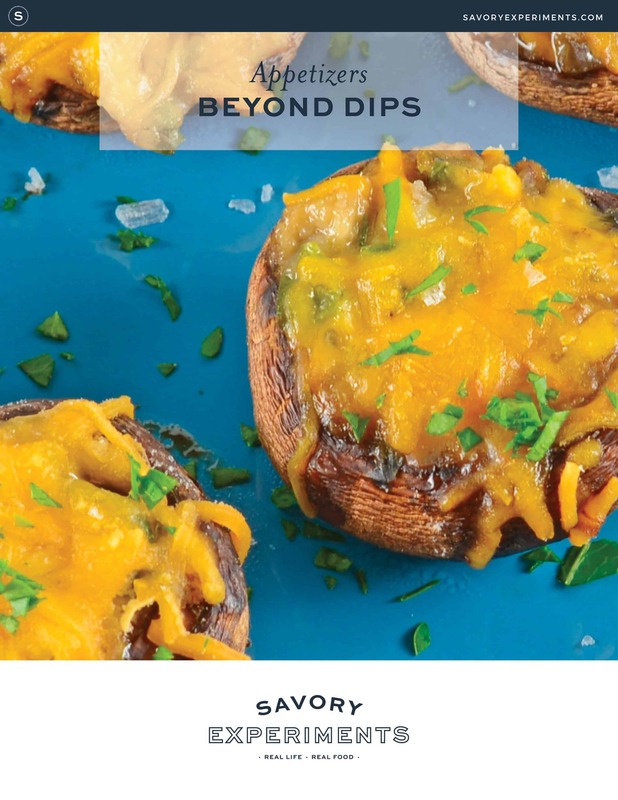 Perfect for topping burgers, a snack or even a green bean casserole! French Fried Onion strings are also known as French fried onions or onion straws. 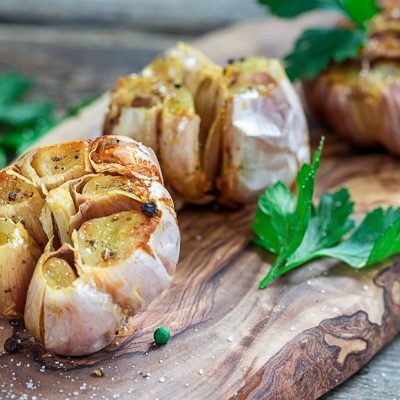 They are made up of very thinly sliced sweet onion that is bathed in buttermilk to remove the sting, and then tossed in a seasoned flour mix and flash fried. If you are an onion ring lover, then you are also an onion string lover. French Fried Onion strings are hugely versatile. 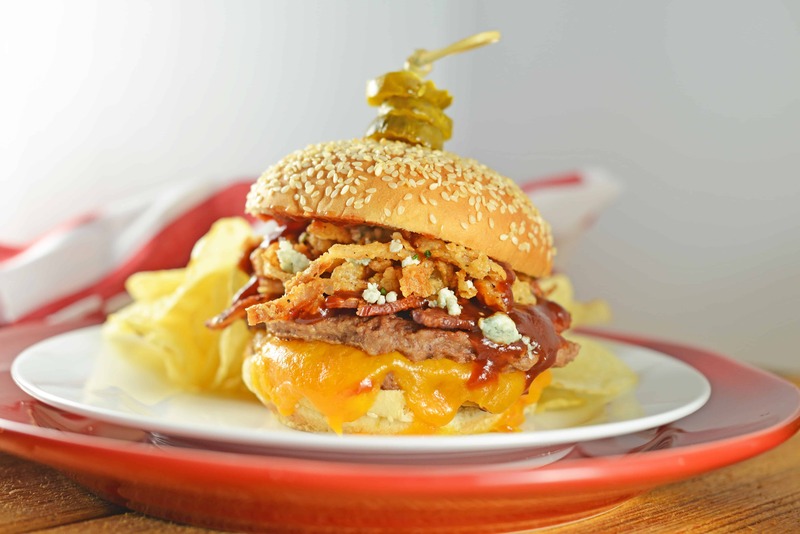 While I like to just munch on mine like a snack, hubby loves his on a Cowboy Burger. 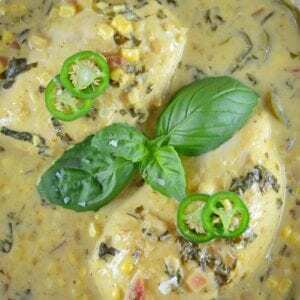 You can also put them on Hot Dogs, toss onion strings into a salad, use them on a green bean casserole or even serve them as a side dish for breakfast, lunch or dinner. Even use them as an accent on top of deviled eggs, in stuffing or on top of any dish that needs a little pizzazz! 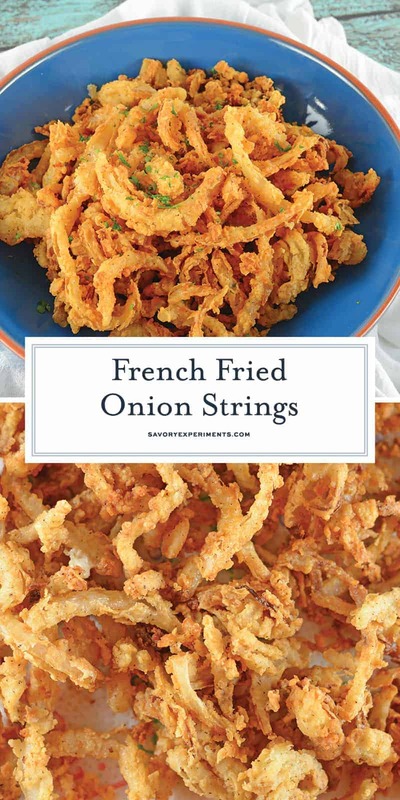 If this is your first attempt at making these, then this is how to make french fried onions. Start off by soaking your thinly sliced onion in buttermilk for about an hour so they get evenly coated. Next make your dry mixture by combining flour, salt, pepper, and celery salt in a bowl. Then heat up your oil in a pan on the stove. After that take your onions from in the buttermilk, dip it into the flour mixture and then place them into the hot oil to cook. Cook for 3-4 minutes or until they’re lightly browned. Tada, that’s all you have to do to make these French Fried Onion Strings! The hands-on time to make French Fried Onion Strings is fairly minimal, although there is about an hour of passive time to let them soak up all the delicious buttermilk goodness. 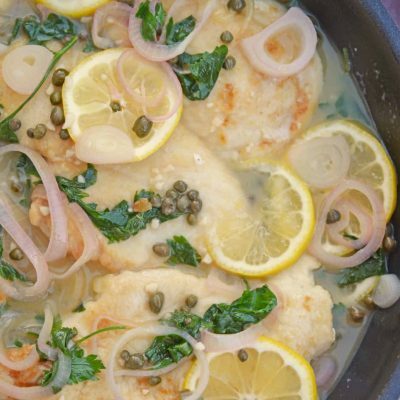 You can even make them ahead of time and store them in an airtight container at room temperature. While I don’t suggest microwaving them, reheating is super easy in the oven. 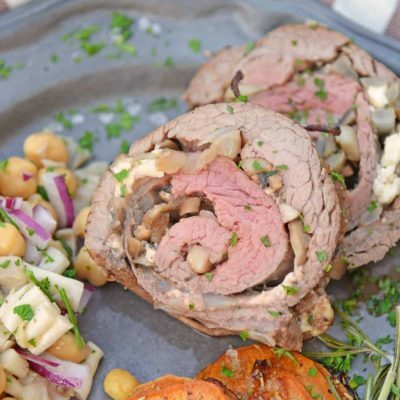 Just heat on 350 degrees for 5 minutes or low broil for 2-3 minutes. How will you eat your French Fried Onion Strings? 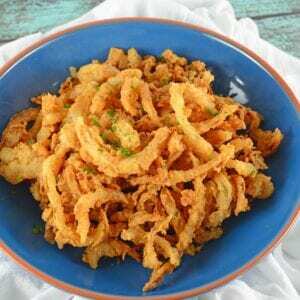 Onion Strings are buttermilk soaked and lightly seasoned fried onions. Perfect for topping burgers, a snack or green bean casserole. Starting thinly, thinly (did I say thin?) cutting your onion into rings. Remember, these are onion strings, not onion rings, so they need to be super thin. Make sure you are using a sharp knife or a mandolin slicer. Separate onion rings and place into a shallow dish. Cover onions with buttermilk, tossing until all covered. Set aside at room temperture, tossing every 10-15 minutes to ensure they are all marinating evenly. In a medium mixing bowl, combine flour, salt, ground black pepper and celery salt. Fill a large, heavy bottom pan with 2 inches of vegetable oil. Heat to 375 degrees. Working in batches, use a slotted spoon or your fingers to remove onions from buttermilk, tapping to remove any excess liquid. Drop into flour mixture, turn to coat and then carefully place in hot oil. Fry for 3-4 minutes, or until lightly brown. 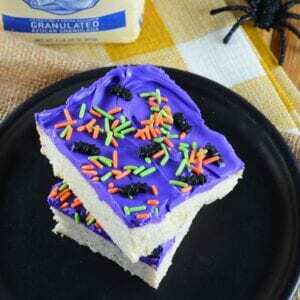 Remove to a paper towel lined baking sheet or plate to drain. OMG,these are so good! The celery salt surprised me, but it was perfect! Added a dash of ground red pepper and the family ate them faster than I could cook them! It’s a KEEPER! Oh! That does sound good- what a great addition, Deborah! If making 10 cups sHould i use more oil? The amount of oil will depend on the size of your pan, you want to make sure the oil is high enough to cover the onions. I would do them in batches and add more oil as needed. Maybe 1.5 quarts on hand. And i can make thEse the day before and just store in plas bags unt reheat in the oven? if im maKing this for 50 people as a side for Pulled pork sandwicHes, how many cups would you suggest? Hmmm… maybe 10? I feel like some people will use a lot, some won’t use any at all. But if there are leftovers, use them on a salad! And they will taste ok if i make them th Day before and reHeat in the oven the day off? Just Store in ziplock bags?